Ever noticed how there seems to be a myriad of films coming out of Hollywood on comic book characters and remakes of older films like King Kong, War of the Worlds, Charlie and the Chocolate Factory, the remake of Star Trek? What ever happened to originality? Where is the creativity of the media masters? My guess is that such lapses in creativity happen in troubled times. People are apparently comforted by the cozy and familiar when reality is lying await, in the dark. It has been the same in previous periods of uncertainty. The ‘creative’ industries retrench and become more conservative, less interested in novelty. As a result, remakes abound. We too in Islam are experiencing this lack of spirit and originality, brought on by our troubled times and uncertainty of where we are going and what we all should be doing. If you were to examine some of the PhD dissertations from numerous Islamic Universities, you would find that many of them are centered on rechecking of classical masterpieces or studying an opinion of a past scholar. If you were to visit the printing houses of Lebanon and Egypt where most of the Islamic books are printed today, or visit some of the book fairs in the Middle East, you will see how almost every publisher prints familiar books – with yet another checking or typeset. Originality is eroded in what seems to be an assertion that scholarship and deep research is limited to the past – even though we are the most in need of this originality. Their assertion is only based on our uncertainty and people’s instant comfort with familiarity. A cursory look at some of the most comprehensive books of Fiqh, show a lack of discussion of some of the most pressing questions of our times. This is not due to inability, rather due to the absence of these issues in those times. Many committees of scholars in different countries discuss numerous modern issues that pertain to them in matters of business and medicine, yet many others that matter to Muslims living in equipetech the West, such as judging and arbitration, political participation, citizenship, police and armed force participation, reconciling Western and Islamic inhertiance laws, Islamic curriculum for Western Muslim schools – issues that are rarely dealt with. Is there not a requirement for the able to look into these matters and work on original pieces and solutions to these problems? Or are we to rely on the lacking judgments of a few students of knowledge that visit the West in the summer from the Middle East, and only know our life and what we go through for a limited period of time? About 2 years ago, I helped a student at one of the most prestigious Islamic Universities in the world with his PhD thesis on the Islamic position on tissue banks – everything from cornea banks to breast milk banks to DNA banks. It was interesting to note that neither the student nor the professors arguing the dissertation were medically qualified to understand the material. I had a difficult time translating untranslatable medical terms into Arabic such that laymen could understand and I question my efficacy in that. In any case, the brother did do well. He got his PhD with a distinction. However, I will have serious reservations from using his conclusions. How can I rely on the conclusions of some one not qualified to understand that which he is writing about? This is the sad state of affairs in some of our academic circles. Rarely are unfamiliar topics dealt with, and when they are, people not qualified to do so. The most frustrating situation for me has been when I am forced to answer a question in two minutes that in reality will require two years for me to research. Should I answer based on general principles and general rules of fiqh, or shall I avoid answering and leave our questioner to the unscrupulous pseudo scholar that abound in our times? It is a dilemma that I continue to struggle with. If the able amongst our ummah do not take the academic challenge that should beacon to them like Mount Everest to every climber, then we in the West will continue to struggle for answers to our needs. Personally, I will not tolerate another King Kong movie. how do you suggest we proceed forward? and by that question i mean what kind of solid long term strategy do you think we can implement to start alleviating these issues? Are you serious Hassan? Do we need a translator :) ?? interesting. After reading this…I miss Dr. Ali al Timimi even more. br abu ameerah i was thinking the same thing, inshallah i will try to post his lecture on need for fiqh in our times soon if i can. For some reason I am better at listening rather reading intellectual things. The example of Dr Ali came to my mind too, fakkAllahu asrah. But that kinda illustrates the point very well then. That amongst ourselves, in different parts of the world, we can only think of one prominent example? Great article – as you are very well aware its not just in issues of medicine and banking where such a penchant for ‘past’ scholarship is clung to. Many amongst our Western students are simply too timid to venture beyond the opinions that the Eastern scholars they (and we all) look up to have stated. Its as if an opinion of a scholar in a land far, far away regarding an issue that Western Muslims are facing is etched in stone. To dare challenge such a scholar’s understanding of our situation (and not necessarily his understanding of the Sharee’ah) risks alienating ourselves from other students of knowledge. 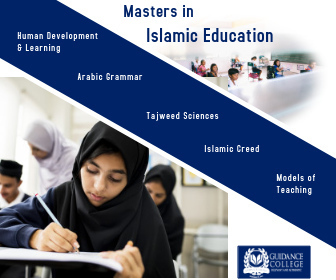 Of course the flip side of the coin – which you hinted at – is that many times Western students do not have the necessary background to make cutting-edge ijtihad. And the issues that we as a Western community are facing require such ijtihad. So, does that mean (quoting you again) that a limited student of knowledge gives a two-minute response to an issue that he has not thoroughly researched, but knows more about (in a ‘modern’ sense) than many classically trained Eastern scholars, or should he simply remain silent and refer the questioner to ‘authorities’ whom the student himself would not follow in such issues? Also, what about the case of the student of knowledge who goes beyond his realm of ijtihad and becomes a pseudo-scholar: who will decide this, and who will re-direct him back? 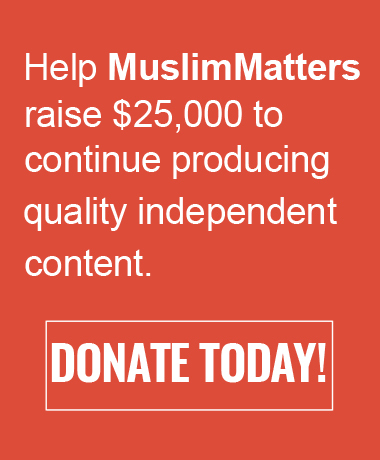 (Not to mention that, in all honesty, the same happens when many Eastern scholars give fatwas regarding the situation of Western Muslims without fully understanding the repurcussions of those fatwas – but then such people have the halo of scholarship attached to them, which makes direct and explicit criticism almost impossible). No doubt this raises many many concerns, on all sides of the equation. There is no clear cut answer or solution. The long term solution is of course to have Western trained and educated ulamaa. But that doesn’t help us in our current situation (except perhaps in accentuating the need for more and more people from the West to specialize in Islamic studies – from all different Eastern serminaries and classical institutions, and not just one or two in particular). I guess this is but one more reflection of our current state of affairs, wa Allah al-Musta`aan…. — Uhhh…No. Actually there are more examples than Dr. Ali Al Timimi. He is simply one example that many of us — especially those of us who live in the DC Metro area & attended GMU — often remember. Yeah, I see, but it still points to a select few. Jazakallahu khair for the link though! i have a question similar (on a smaller scale) to what was posted here, what should beginning students of knowledge do when they are approached with a question? should we say simply that we don’t know, tell the opinion we follow and why – or what many of us end up doing to avoid speaking without knowledge and refer them to an imam that we ourselves wouldnt go to for fatwa? btw, I tried to imagine this entire thing read in an Australian accent.